Michael is an innovative, results-driven executive with leadership experience in Field and Inside Sales, Marketing, Call Centers and Client Services. 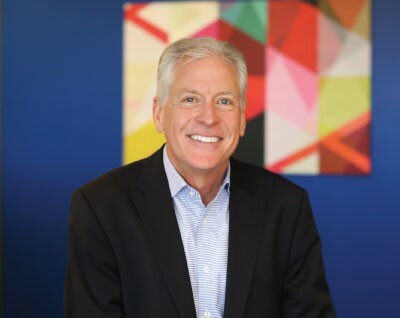 He brings a wealth of experience to the Advanced Technology Group in the areas of: sales leadership, P&L responsibilities, organizational design and development, business development, account management, pipeline management, and strategic planning and execution. Michael joined ATG in 2014. Prior to joining ATG, Michael worked at Deluxe Corporation and Cap Gemini Consulting, having served in multiple sales, marketing, and operational roles. He holds a Bachelor of Science in Marketing from the Missouri State University and a Master’s Degree from Webster University. Michael is active in the Kansas City community and is co-founder of the BV TEAM Soccer program, a soccer program designed for children with special needs. Designed and implemented account management strategies for contract renewals for a software business which resulted in a 45% increase in renewal rates. Led a Call Center and Client Services organization with 400 employees serving Financial Services clients. Reduced operating expenses while still achieving operational and revenue goals. This was accomplished by focusing on continuous improvements in all aspects of the day to day operations. Focused on improving employee engagement which resulted in improved employee morale, a 10% increase in Customer Satisfaction score and a 79% increase in Net Promoter score.